LIC the top insurance firm in India which provides a wide range of LIC policy plans in various sectors. It was founded in the year 1956 and has been on the top range ever since. LIC holds the majority of the market. It is the only public sector insurance company. LIC had a 98.31 claim settlement ratio in the financial year of 2016 – 17. It was the highest in that financial year. In 2015 – 16, LIC was on the top with a tremendous 70.5% market share in the life insurance sector. The e term plan by LIC is an insurance policy that is available for purchase only online, which is why it makes it one of the top plans. It is specifically designed to be bought online. In this day and age, the digital market is booming with all kinds of services and products available with just clicks away. More and more people are shifting to click shopping from brick shopping due to their busy and comfortable lifestyles. The 1 day you get a holiday, you would prefer staying home, right! So, LIC has a term insurance policy that people can purchase online while having access to all the important information about it online to read. Under the e term insurance plan, a tax deduction is available up to an amount of INR 1.5 lakhs on the premium that you pay. The e – term insurance policy will only pay the cover to claims of the nominees if the insured dies, else the payment shall not be made. There is no maximum limit for the sum assured; it can be whatever the insured chooses to pay premiums for. This plan is also smoker friendly (at a higher premium). The LIC Jeevan Labh insurance policy is an endowment plan which allows investing into it with low premiums. It offers protection through insurance as well as savings. 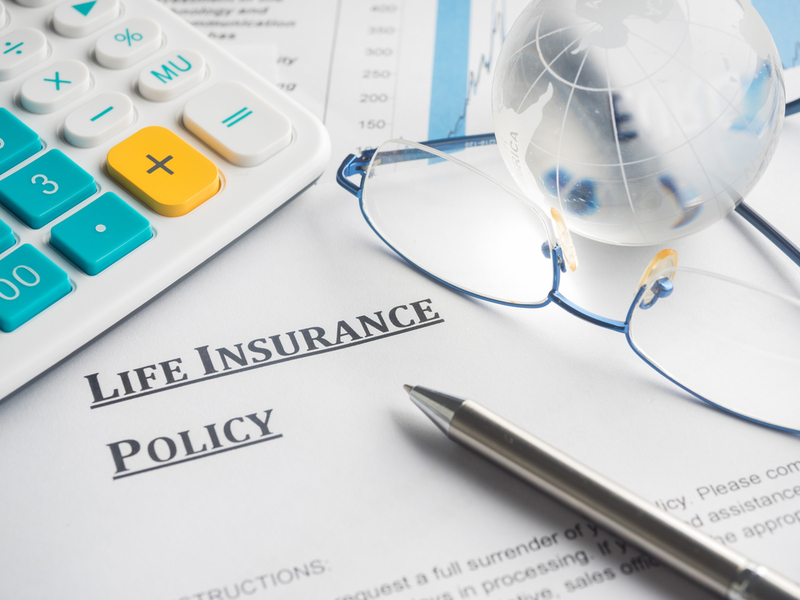 The nominees or the family of the policy holder will receive a death benefit along with any additions or bonuses, if applicable, in case the insured dies before the maturity of the insurance policy. The death benefits are 105 % of the premiums paid up until the death of the insured. The premiums are tax – free in the LIC Jeevan Labh insurance policy which makes it one of the best policies out there. If the insured dies due to an accident, then the plan also gives out an accidental death benefit or an accidental disability benefit. If you have completed your 8th birthday, then you are eligible to enter into the LIC Jeevan Labh plan but you cannot be over the age of 59 years to do the same, so hurry up and get the policy, now! The minimum amount of the sum assured that the insured has to settle on is INR 2,00,000 and there is no upper limit as to what the maximum sum assured can be. If the premiums are not paid during the period in which they are supposed to be paid, the Jeevan Labh policy will lapse. The LIC Jeevan Anmol II is one of the best LIC policy plans to choose from. This LIC policy plan offers protection to the nominees or the family of the policy bearer after their unfortunate death. The cover of the LIC policy plan will be paid to the family or the nominees of the insured only in the case of their death. If the insured survives the tenure of the policy, then no such payment or cover shall be paid to the policy holder’s kin. For every 3 years that the policy bearer survives out of the tenure of the LIC Bima Bachat Plan, 15 % of the sum assured will be made as a payment to the insured for surviving. The LIC New Jeevan Anand is one of the best LIC policy. It offers the nominees of the insured with death as well as an accidental death benefit cover in case the death of the insured. One of the best features of this LIC policy plan is that it has a grace period of about 30 days within which the policy holder can pay the due premiums and get their insurance plan back on track. The policy will lapse if premiums are not paid within the grace period but it gives you another chance to revive it if you pay the due premiums within 2 years from the non – payment of the premiums. Purchase these LIC of India plans and get the best benefits through covers at reasonable premiums.